Autumn is a difficult one for me. It has so many pros and so many cons, and every year, as the summer goes out with it's annual whimper, I never really know quite how I should feel about the approaching Autumn. Should I be excited about the earlier nights, and the bright lights, or should I dread the cold temperatures and incessant rain? Should I look forward to the majestic colours in the trees, or should I dread the leaves falling, and turning into a slippery mush? Either way, one thing I do look forward to is the way that people react to the changing of the season in terms of their style and makeup. Some, like me, carry on regardless, almost unaffected and wear whatever we like, whilst others tend to go for more 'autumnal' shades. Both are fine, it's all about works for you personally. I tend to edge towards brighter looks, because I feel that the dull days need a little bit of light, and we sure can't rely on the sun for that. Illamasqua's Aftermath Range - Swiss Cheese plant and pot of pens not included. 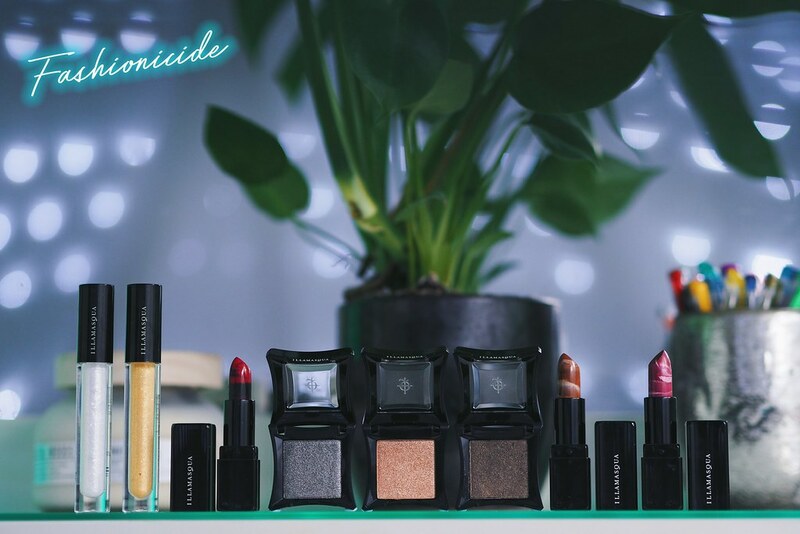 But on to the subject of this post, and Illamasqua have released a new range in time for Autumn's beginnings, the *Aftermath collection is their attempt at keeping alive the light in the impending darkness. The range is a series of metallic eyeshadows and eye gels with complimentary lipsticks. 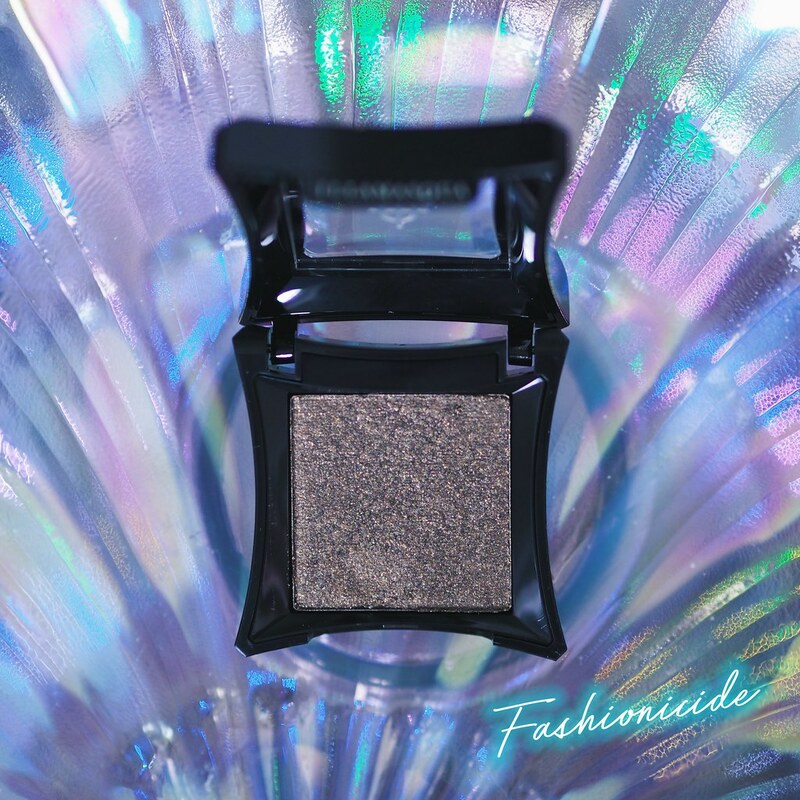 The eyeshadows are Hoard, Superstitious and Enchantment, all three are reminiscent of dark and moody olympic medals - Hoard is a light gold shade with peachy undertones, Superstitious is a striking gun-metal silver and Enchantment is a deep, brooding bronze. They're all highly pigmented, with some serious glimmer, but of the three, I prefer the gun-metal Superstitious as I've always been much more of a silver girl than a gold one. When you apply the shadow initially, it does look very metallic, however as you start to blend it in, it loses a bit of that and gives much more of a refined glittery appearance. 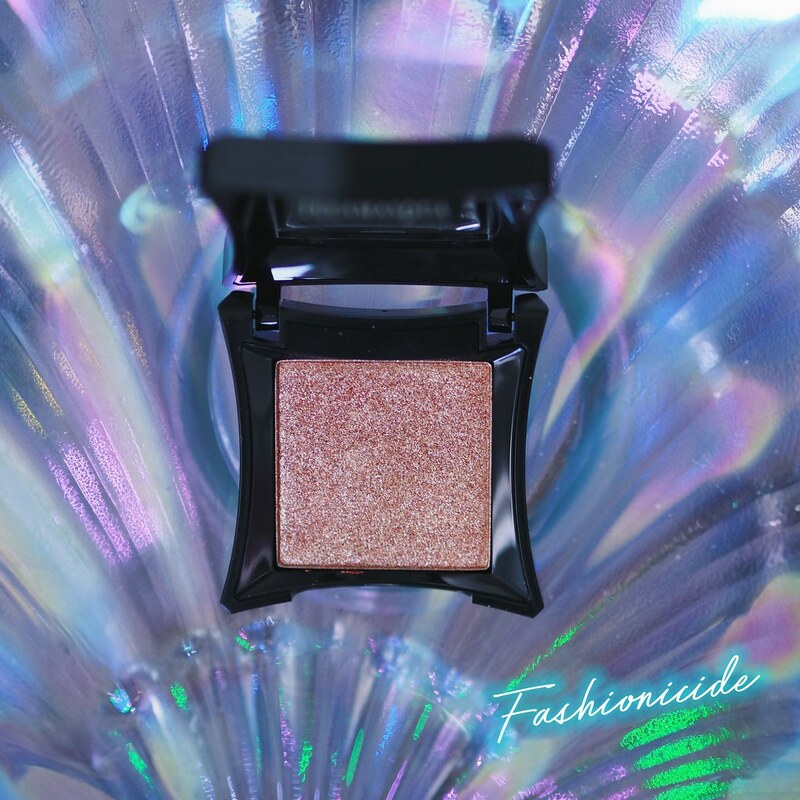 The pigment on the eyeshadow is strong enough that just one swipe gives you the full on metallic-goodness, there's no itty-bittyness here, just full, rich smooth product. I often use Hoard on the brow bone to give a bit of a sheen, or sometimes as a highlight. 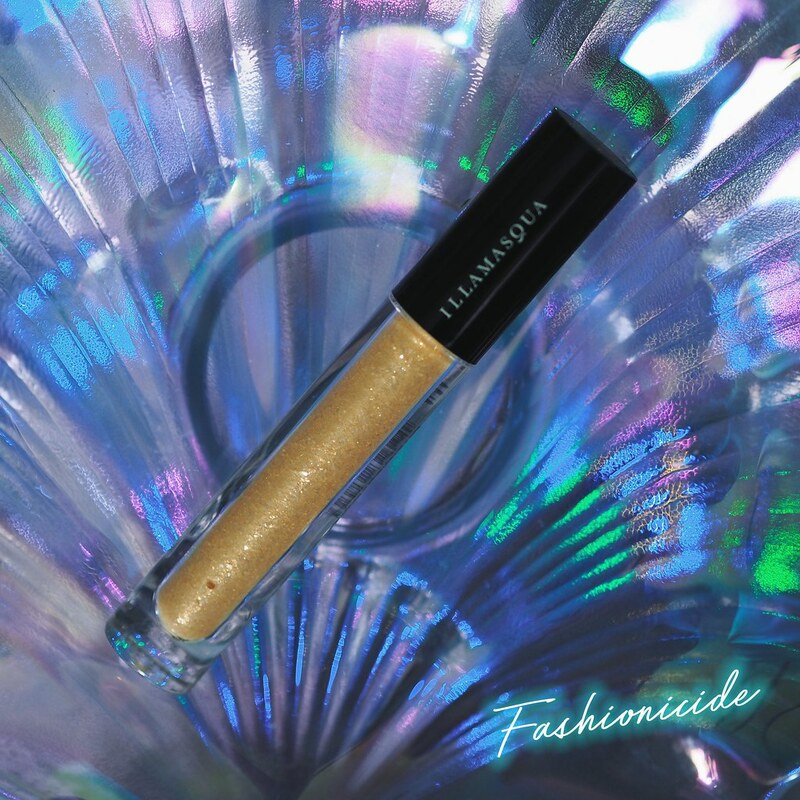 The texture is nowhere near as your typical highlighters, but I just use a small amount, and it still knocks all other highlighters out of the park! Until you get up close, you can't really tell, but it gives that finely-milled glittery look. 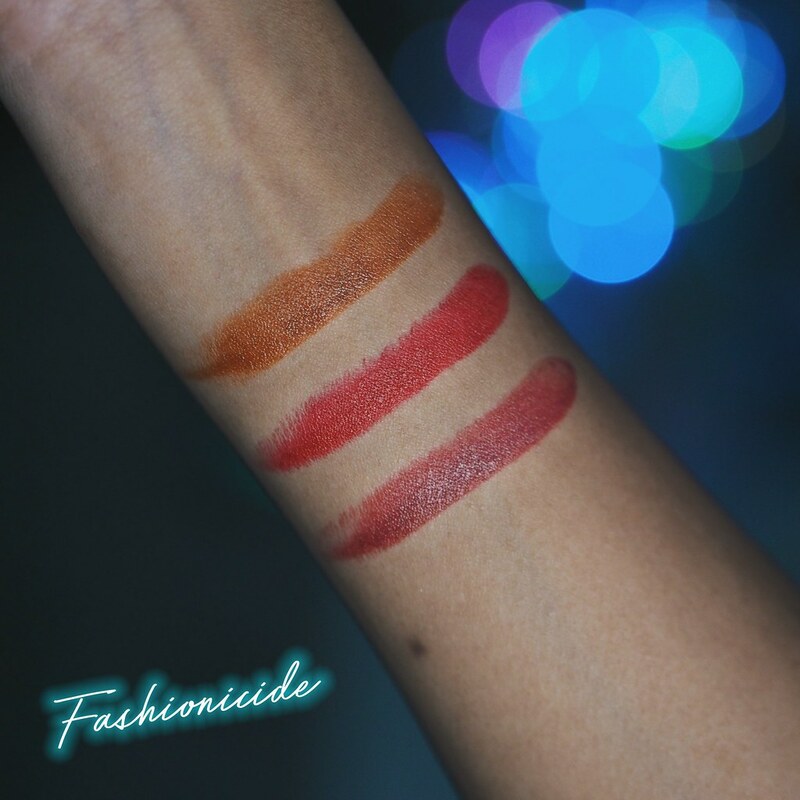 The lava lipsticks are three wintry tones, aptly named with a gorgeous marbled ripply effect that permeates each of the three colours: Emanate, is a rich, chocolatey brown with white milk-like ripples; Tectonic, a summer berry-esque pink with pastelly ripples and Rebirth, a scarlet red that bleeds black. 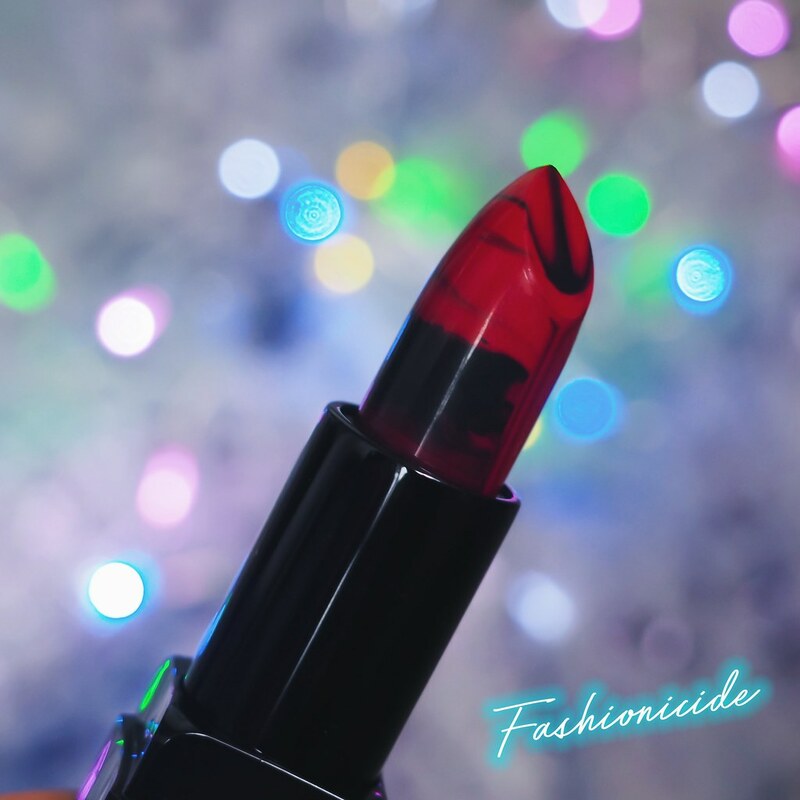 Personally, I'm not all that excited by these, the colours are nice, but the lava effect doesn't really do it for me - I prefer to create my own colour combinations on my lips, but I can certainly see the appeal. 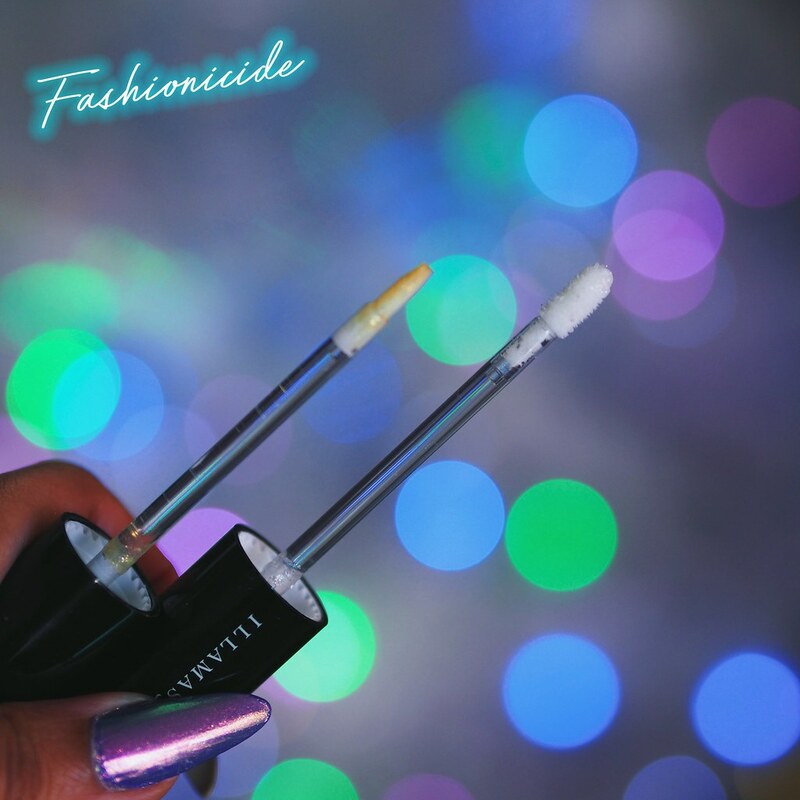 The application is buttery smooth, and the finish is neither matte nor glossy, but it does have a little bit of a shine to it, so I'd go with labelling them demi-matte. Honestly, I can't recall the last time I actually wore a bullet lipstick, but it did feel refreshing to wear a smooth, comfortable, sort of matte lipstick. Often with mattes, you can get that dry, crusty situation, but with the Aftermath lipsticks, it's not an issue, which is great, because crusts belong on a pizza, not your lips. 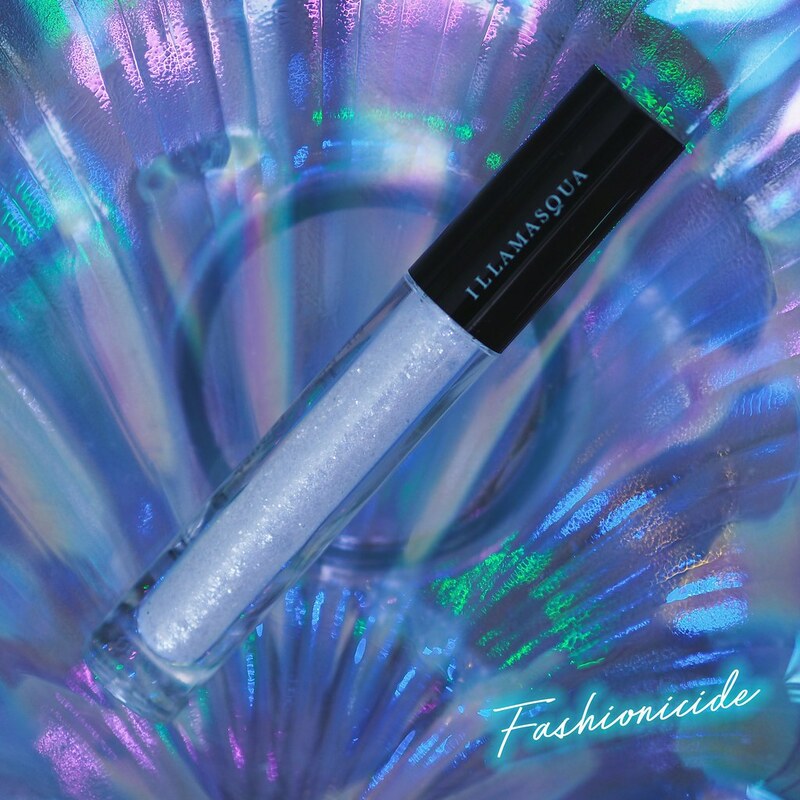 "Molten liquid rises from the earth's crust taking metals to a new dimension with Illamasqua's Broken Eye Gel. Dotted lightly across the cheekbones, inner eye or cupid's bow, Broken Eye Gel catches the light, illuminating the unique cracked-foil effect." So it starts off a bit dramatic, but comes back down to earth a little! Either way, my interest was certainly piqued! When brushed on, you can see that it's clearly not your standard glitter, it looks like tiny bits of chopped foil suspended within the gel. I quite like it for the inner corner or adding some embellishment to the brows. Also, I'm not sure why, but the two have different applicators which made me question my sanity at first! 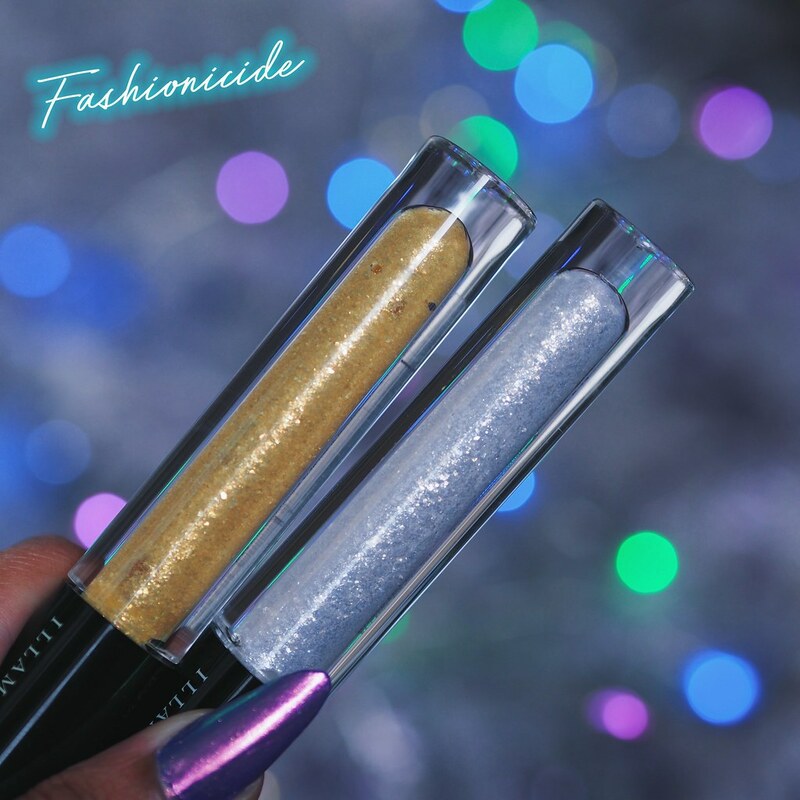 But yes, the silver comes with a brush, and the gold one with a doe-foot applicator - this may be because these are PR Samples, I'm not really sure. 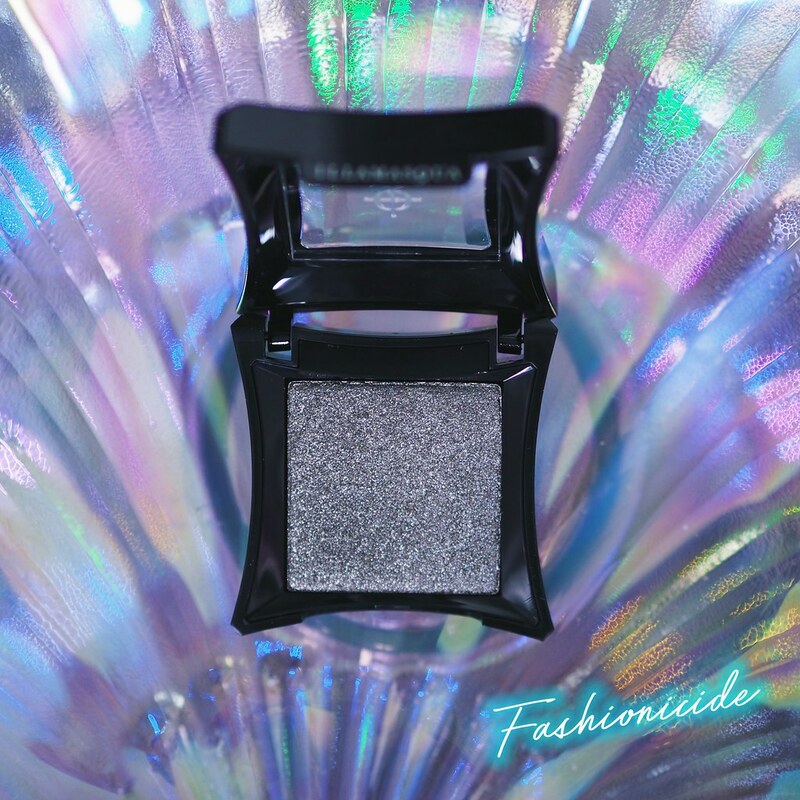 Overall, I really love the idea behind the product, and if you're willing to use it for it's designed purpose - to add a little bit of light to your looks - then this is 100% for you, it will really add a bit of eye-catching glamour to your makeup. But me being me, I really like to pack on the bright things, layer upon layer and the Broken Eye Gels are not best suited to that. They do take a little bit of time to dry, and if you attempt to layer before it is dried, the foil tends to move around and gets quite difficult to control. So to make this work, I had to wait until it had dried out, which was quite inconvenient. I feel like I need to mention this, because in the look I created using these products, I've packed the Broken Eye Gels on, and I don't want to give the impression that it's easy to achieve, because it isn't, it's quite an effort, and very time consuming! But I also feel like I ought to say that this is not it's stated purpose, so I certainly won't be marking it down on that basis - the look that both gels give is genuinely dazzling, so bright and more chrome-like than metallic when packed on. For the look above, I've used the Superstitious eyeshadow on the lid, with Lime Crime's blue Filter eyeshadow complimenting it really well in the crease and undereye. 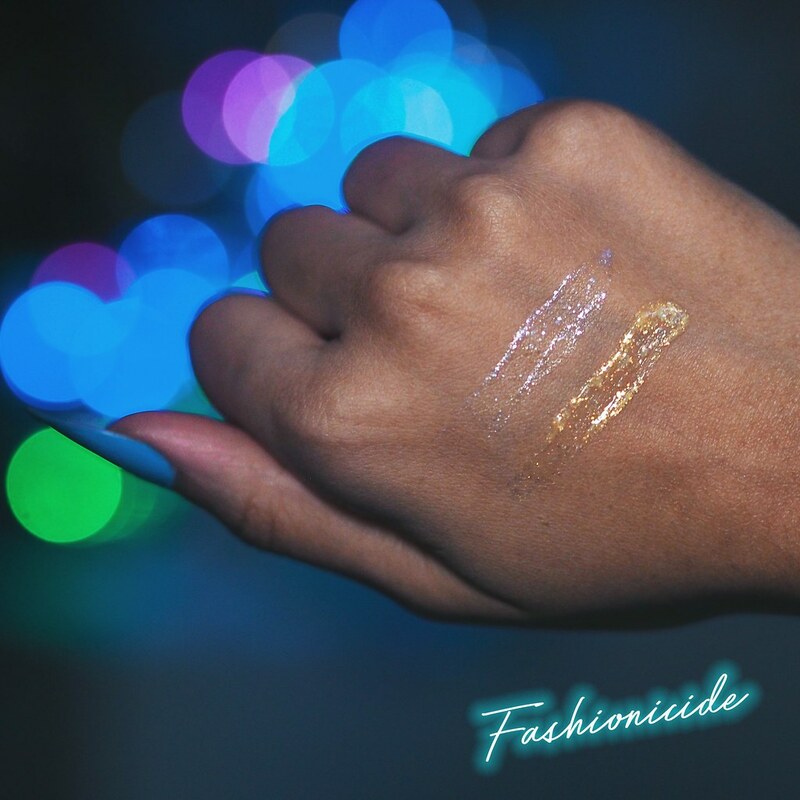 For the inner corner, I've packed on both Gold and Silver Broken Eye Gels to give that embellished look, to the point it's so bright, it looks like a light source all of its own! I've also brushed on some of the Silver Broken Eye Gel on the eyebrow to add a little depth to the look. The Aftermath collection can be purchased from the Illamasqua site *HERE* or of course your local counter. The eyeshadows come in at £17 each, the lipsticks are £19 a piece and the Broken Eye Gels will set you back £20. 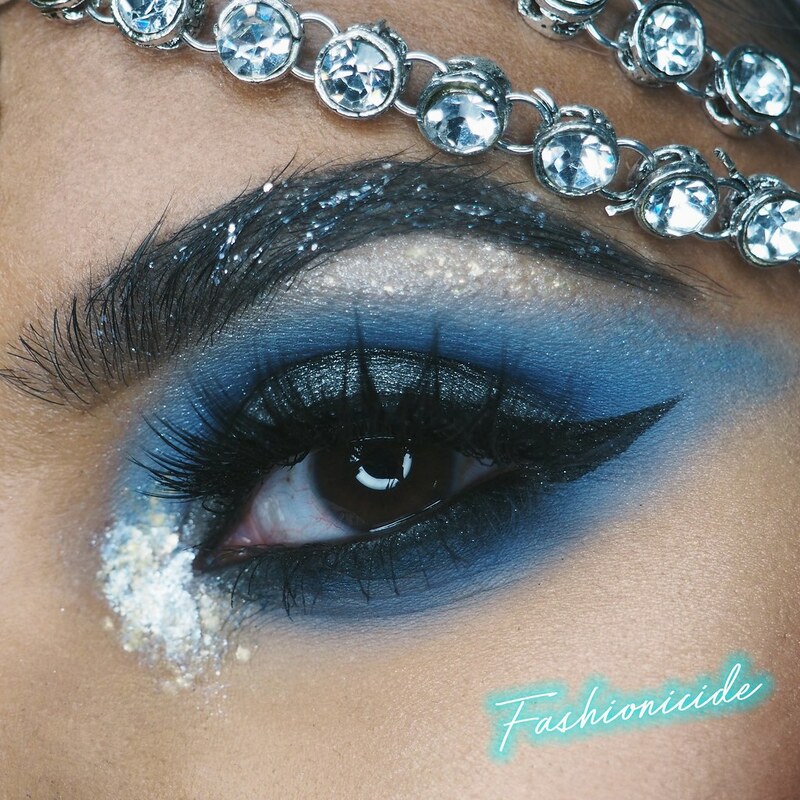 These eye looks are marvelous! If you used these products to do that, then I am impressed! Thanks for sharing. 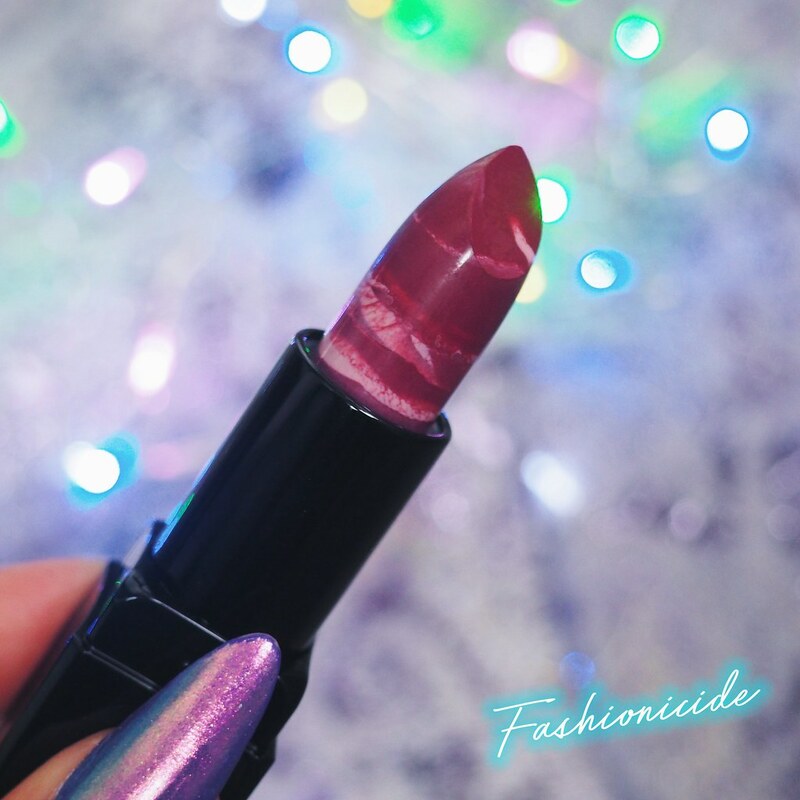 What an absolutely gorgeous collection from Illamasque, I am loving the look of the marbled lipsticks and the colours when used are gorgeous as well. Bit of an interesting mix then, the eyeshadows do look appealing. I'd probably make an almighty mess with the gels - especially if they take a wee while to dry. I do like Illamasqua but I've had mixed results with them, so I'd have to get into the shop for a proper swatch at all the shades. Beautiful eye look! The Illamasque products sound great I love the 3 eyeshadow shades. The look you created is gorgeous I can imagine it can't be that easy to do but it really is stunning. I really love those colours. Oh wow, the whole collection is somehow managing to be a dark theme whilst at the same time being light...if that makes sense? Like the shades are darker but dazzling? I really like it, though I think I'd have to practice to get the look you've put together, which is amazing by the way. I think the eyeshadows at the very least are going on my Christmas list. Oooh wow how gorgeous are all these items! I love the sparkly eyeshadows and the marbled lipsticks, I just wish I was good at applying make up! I'm loving the eye shadows, superstitious and hoard are lovely colours. And you make up skills are incredible. Love the rich colours of the lipstick and eye gels the most, but you have a talent for making everything look amazing! What an interesting take on changing autumn colours - I adore that Superstitious eye colour and have a feeling my daughters will be clamouring for some of that glitter. Oh I love those marbled lipsticks! What a fun range. We like the look of the gold peachy undertones of Hoard and the lipsticks look awesome! 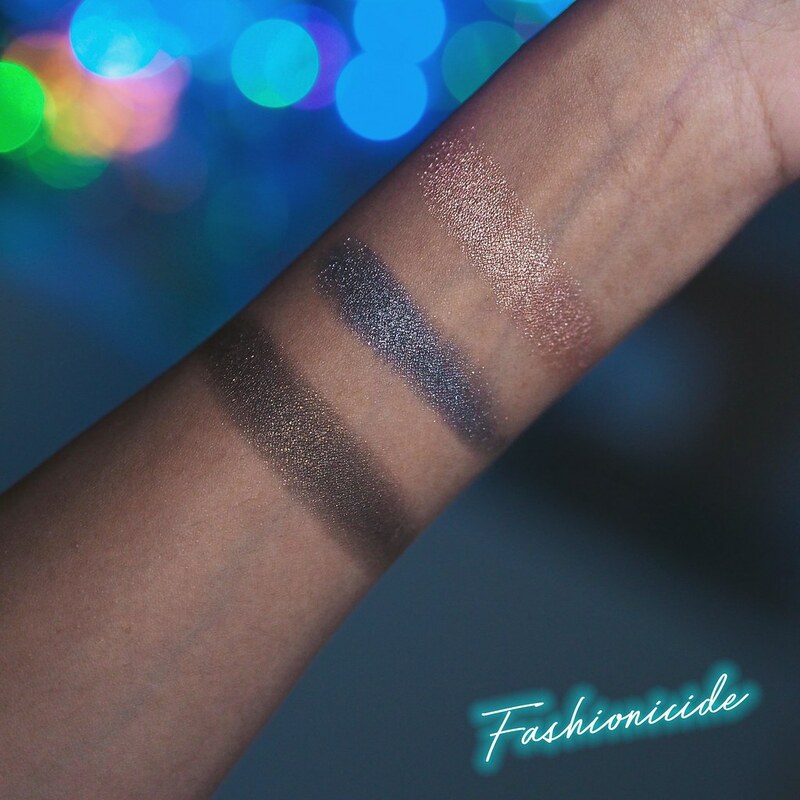 I love all three of the eyeshadows - shimmering metallics are a favourite of mine! I've never actually tried any of their products but I am loving these eyeshadows, they're so pretty. This make up looks amazing! 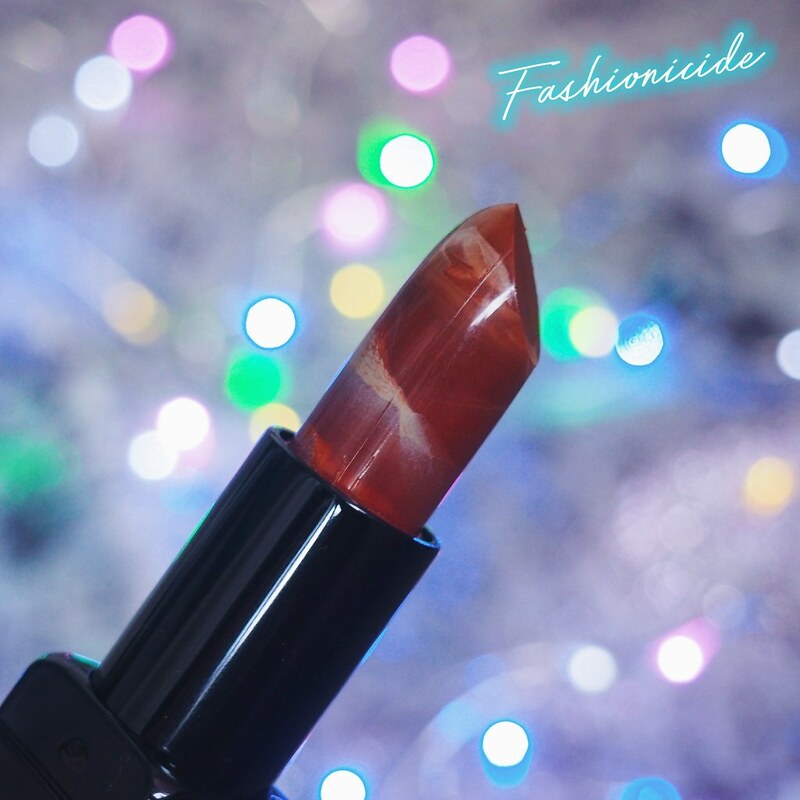 I love the lipstick with marble effect! My gosh those swatches and colors are absolutely stunning! I am in love with the variations. I definitely need to check their collection out. So versatile and vibrant. 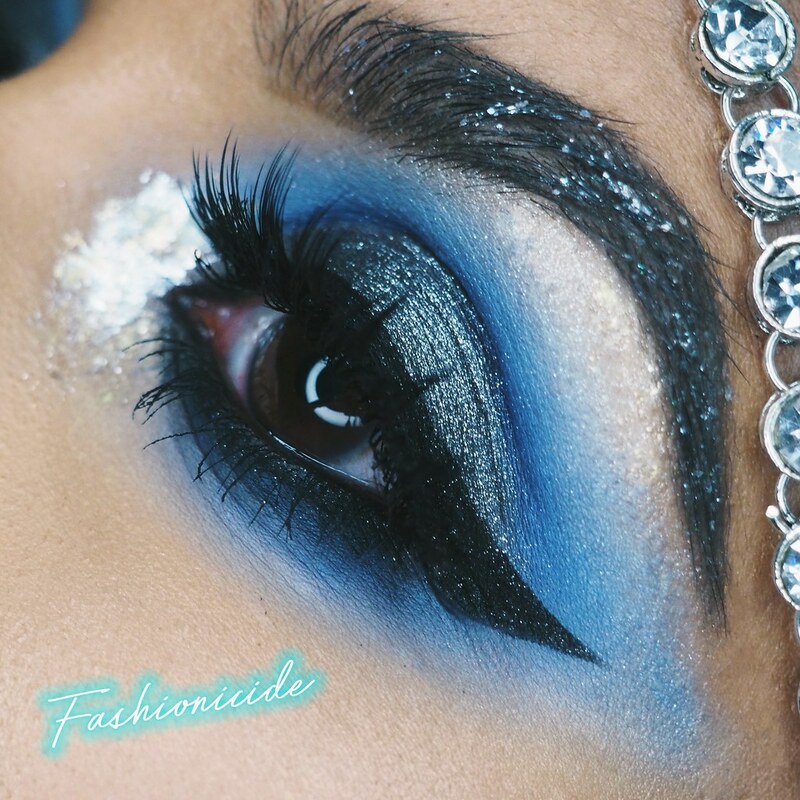 Wow, this is a really impressive eye makeup! I like the lipsticks - look very cool.